Home / entertainnment / REALHITZ Q: NIGERIA HAS NO NEW BREAKOUT MUSICIAN IN YEAR 2017, WHY?  REALHITZ Q: NIGERIA HAS NO NEW BREAKOUT MUSICIAN IN YEAR 2017, WHY? It’s past the halfway point of the year, and no new artist has had a national hit record. Why? In 2016, Mr Eazi was the breakout star of the Nigerian music industry. The 25-year-old Nigerian born musician rose meteorically within the country, with the speed of lightening. His record, ‘Skin tight’, featuring Ghanaian singer Efya, became a national hit, opening the gate for his follow-up singles to become anthems. Songs such as ‘Hollup’, ‘Sample you’,and ‘Dance for me’, became huge hits, consolidating his growth. By December 2016, the singer born Tosin Ajibade, would go on to win the coveted Next Rated award at The Headies in December, and collect the Soundcity MVP Awards for ‘Best New Artist. Along with Mr Eazi, a new crop of artists also released hit records which went on to become hits. Great examples of the supporting breakout cast include Humblesmith ‘Osinachi’ remix featuring Davido, which announced him as a newcomer. Tekno had also had a great year, and Simi pushed far and beyond to become a music star. Fast forward to 2017, and Nigeria is lacking another breakout artist in the mould of Mr Eazi. It’s past the halfway point of the year, and no new artist have had a national hit record. None has made a dent on the surface of the game, or climbed into the pop music radar. “This year has been a rather dull year in music in the upcoming stream,” says Dami Elebe, an On-Air Personality at the Beat 99.9fm. “It's shocking that no one has taken the opportunity to break out and shine through the okay tunes released. Is it possible that the breakthrough star might come in December, yes but for now I feel like so many musicians are not trying to do magic with their own sound rather they are trying to make music sounding like those who made it last year through to this year. Dami Elebe is talking from the reality of her situation as a broadcaster on radio. The dominance of the mellow, High-life tune with a signature Ghanaian synth (also known as the ‘Pon pon’ sound) has ensured that a comparatively low number of local songs have become hits. Runtown, Tekno, Ycee and Davido are examples of artists who have enjoyed success with the new sound. This development, while it has provided Nigerian music with a new sound structure, has also ensured that numerous artists have abandoned other creative styles, to focus on the trend. Listening to a wide number of pop artists on peak radio times, there exists a congruent and sometimes monotonous trend in the sound of the music. A look through Playdata radio chart for the past week (Week 30, 2017), will find Ycee’s ‘Juice’, Davido’s ‘Fall’, and Falz’s ‘Jeje’obeying the ‘Pon pon’ structure. It is representative of the type of music that has become popular with fans. To cast a darker shade on events, one of the biggest hits on radio this year is surprisingly a song by Puerto Rican musicians titled ‘Despacito’. The record by Luis Fonsi and Daddy Yankee has displaced local hits, spending three weeks as the most played record on Nigerian radio. For the past 5 years, the Nigerian music industry has been kept on its toes with the emergence of breakout artists. Sean Tizzle and Burna Boy made 2013 a great year. Runtownand Patoranking climbed onto the radar in 2014, Kiss Daniel, Lil Kesh, Reekado Banks,and Korede Bello were hot in 2015. Last year, Tekno, Mr Eazi, and Humblesmith showed up. The importance of artists emerging every year are numerous. The music culture gets advanced with fresh voices offering a new take on the music. These artists also serve as inspiration for millions of other singers who are inspired by their newfound ‘blown’ status. For the investors, these artists are symbolic success stories. They represent confirmation as return for investment, which encourages more people to fund new talents. This is crucial, seeing the rising cost of breaking a new artist in Nigeria. Talent manager Obinna Agwu believes that money and the lack of it is a crucial reason why emerging artists have had a difficult time breaking into mainstream. “The cost barrier to breaking into the mainstream has been steadily rising for some years now. And has reached an astronomical level, making it near impossible for a lot of talents, including those signed to labels, to stand a chance.” he says. In 2016, Nigeria slipped into a recession as the economy contracted 2.06% between April and June. Crude oil sales which account for 70% of government income crashed. With the price of oil falling from highs of about $112 a barrel in 2014 to below $50 in 2016. This led to a spike in inflation with every sector of the country reeling from its effects. The music sector was also affected. A report by auditing firm Pricewaterhouse Coopers (PwC) in 2015 said revenue from music sales in Nigeria, Africa's most populous country, was $56 million that year, and predicted it would grow to $88 million in 2019. There has been no new report to counter that despite the recession, but investors are feeling the bite of it. In 2016, popular female drummer, Ara summed it all during an interview with Punch. “The demand rate has dropped and performing fees also. In fact, in order not to lose some of our existing and prospective clients, we have had to reduce our fees these days,” Ara said. Obinna Agwu thinks the economic climate has played a role too. Artists are required to fund their promotion, and a lack of funds have not helped young talents. “Because traditional media still plays an outsized role in breaking new artistes, coupled with the prevailing economic climate in the country, payola is a big problem. So basically, the need to put food on the table clearly trumps any altruistic desire to push good music. Also, too many record labels are out there hoping to get lucky with paltry funds and little or no strategy,”Obinna says. Top-level entertainment promoter and music entrepreneur, Matthew Ohio, echoes these thoughts, highlighting poor strategy as a major issue. “I will put the blame on the record labels. No strategy, too many unprofessional behaviour and no continuity,” he says. While there has been no breakout stars so far, 2017 has seen a number of artists consolidate their standing with hits. Small Doctor, a street-hop artist is currently enjoying a good run of form in the West. His single ‘Penalty’ is currently one of the underground releases taking over. Humblesmith, who also has struggled to score another mainstream hit after ‘Osinachi’, has found measured success with another single, ‘Focus’. He believes his success so far ties into the hard work established acts have put in creating a competitive environment that shuts out new entrants. “All of us have been working very hard. The system is too competitive, and so when established acts release too much music, everywhere is saturated for new artists. That’s one problem right now,” Humblesmith says. CEO of Chocolate City Music, M.I Abaga, has a similar opinion on the situation. The rapper believes that the system is rewarding artists who work hard. “Runtown has had an amazing year. Mr Eazi has solidified his dominance and Wizkid and Davido have traversed the globe. Nigerian music is in a great place. Music business isn't science or a conveyor belt of stars ready to be released and consumed every year on schedule. Most times stars are years in the making and this year we are witnessing the beginning of many future superstars,” he says. What is the solution? How can the current system be disrupted to produce stars? Is the system broken? What roles can everyone involved in the music industry play? “I can't particularly say why there is no clear cut break out artist this year,” says rising rapper D-Truce. “But what if we looked at it from a different perspective? What if we stopped looking for one single break out artist and look at our soundscape from a "class of 2017" perspective, which is a method adopted in the West? A look through various music platforms will turn up numerous young artists releasing music on a daily basis. The internet is flooded with music from thousands of artists looking to make that big break. In July 2017, Pulse has received and published over 150 new songs and videos from emerging acts. These artists are all vying for breakout success, and repeatedly churn out new music. D-Truce has been a regular on Pulse, with over 3 of his projects hosted on the platform. His solution to it includes everyone involved. “Musicians and industry people have very vital roles to play in helping groom the next generation or artistes by simply identifying those with talent and investing in them, be it financially or by means of partnerships, structuring and providing us with platforms that give us more reach so that our sound and art can grow,” he says. While there has been no new breakout artist, there has been some wins within the Nigerian music space for talents. The emergence of a new alternative music culture has become one of the success stories of 2017. This new sound, is also known as “The Soundcloud Generation” due to the availability of their music on the streaming platform. Championed by a collective of artists including Odunsi The Engine, Tay Iwar, Genio Bambino, Lady Donli, its influence is growing mass gathering pace and feeding a market of millennials seeking diversity in their music. Elebe thinks along the same line with M.I. Artists do have a huge role to play because they are the creatives of this generation, serving the country with new music. She continues: “Industry practitioners on the other hand need to give newbies a chance. We have become so accustomed to allowing listeners force us to break new music. It shouldn't be so. We should be able to research and find that new sound, that breakthrough act. The second half of 2017 is already in full swing. Many Nigerian musicians are working on new projects spanning countless albums and EPs. The rest of the year traditionally will be a sprint by artists to capture what’s left of the year. There’s a new D’banj album on the way, Tekno also has a body of work in the pipeline. Hopefully, as December comes around and we all take stock of the brightest stars of 2017, a newcomer will deservedly shine amongst them.